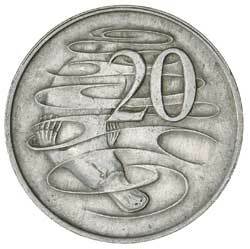 ELIZABETH II, twenty cents, 1966, London Mint 'wavy' 2 type. Extremely fine and rare. 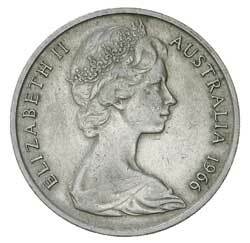 ELIZABETH II, ten cents, reverse of split planchet. Uncirculated.